Today is the day! 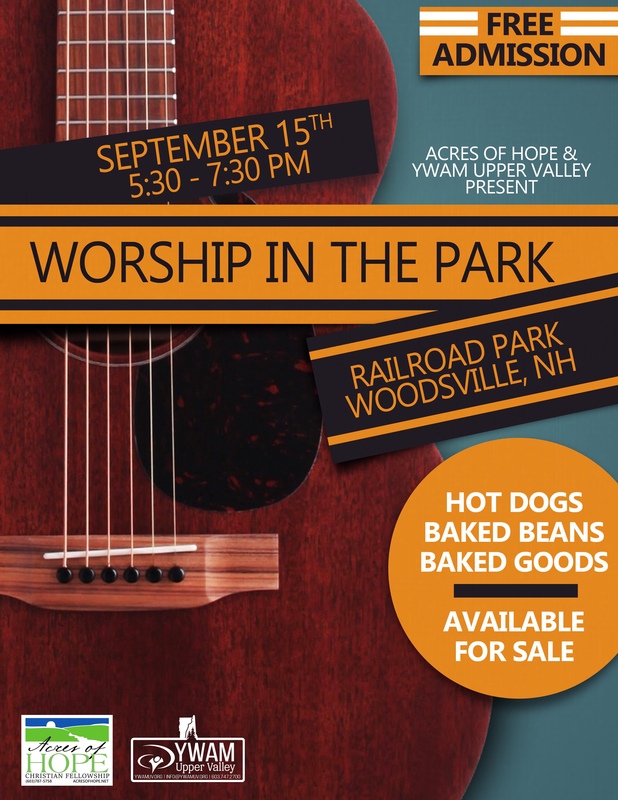 Our first annual Worship in the Park event begins at 5:30 PM at Railroad Park in Woodsville, NH. We want to pour out our hearts in corporate praise and worship to the God who created us, and who sent His Son to reconcile us to Him through his life, death, and resurrection. YWAM will be partnering with us in worship, and in addition to the music, we will be offering a hot dog and beans dinner for $5, baked goods for a donation, free facepainting for the kids, and an encouragement tent for those who need prayer, a listening ear, or a kind word.